Thank you for visiting my real estate web site. Please allow me to introduce myself. I'm the Designated Broker for Margo H. Stanley Real Estate in beautiful Southwest Harbor, Maine USA. I hope you find this site to be a valuable resource in your real estate quest. My mission is to provide you with a variety of tools and local information regarding real estate in coastal Downeast Maine. Please feel free to use the navigation menus above and below, and the various links within this site, to help guide you to various websites and resources that may be of some assistance to you in your real estate matters. Margo H. Stanley Real Estate serves the people and the lands and waters of coastal Hancock County, with a focus on the villages, towns and beautiful shores of Mount Desert Island. We focus our efforts on providing high-quality real estate services within ten miles or so of our office, although we recognize that we can help folks with their real estate matters throughout the region. We serve a large territory of mostly still-wild areas. Yes, we have many villages and towns, and even one small city, but our region is still largely unpopulated, with fewer than 60,000 people living in 2,350 square miles. Such towns as Bar Harbor, Trenton, Ellsworth, Lamoine, Bass Harbor, Northeast Harbor, Seal Cove, Bass Harbor and all the other towns and villages on Mount Desert Island are within our service area. The area is also home to vastly beautiful mountains, lakes and the ocean. Selling your property? 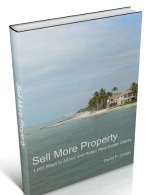 Are you considering the sale of a house, or selling vacant land or shorefront property? If so, we may be able to help you. Click on the "services" tab above for all sorts of real estate resources. Buying property? You'll find a wide variety of tools here to help you find the property you're seeking. Whether it's a new home, a vacation retreat, land to build upon or retire to, or a business or commercial opportunity, clicking on "Current Offerings" or "for buyers" on the pull-down menu will give you access to currently available properties. Relocating? Moving in to our area? Moving away? "Resources" takes you to a series of links to institutions, libraries, town offices, schools and much more. Make sure you bookmark this page now, so you can easily return to this starting point. Other real estate stuff: we designed this page to give you access to a central clearing-house sort of resource bank. Here you'll find lots of interesting stuff, like real estate websites, bank and mortgage information, home selling and buying tips, home ownership and home improvement links, how-to articles about real estate, and more. We hope we are able to help you in your quest for real estate in Downeast Coastal Maine. This home page is your portal into a wide variety of real estate information. What's we're presenting here is but a small portion of all the information available; we can custom-design a wide variety of real estate searches for you. Just let us know! If you have any questions, suggestions or comments, I'd be most pleased to receive them via email, or you may call anytime. If we're in the office, we'll pick up the phone; if we're not, the machine will, and we'll get right back to you. Thank you very much for visiting our site! Enjoy your stay with me and Margo H. Stanley Real Estate! And, please: let us know if there's anything we can do to assure your safe and smooth real estate sailing! Have a great day!